Every time we cover outfielders we get to a point where we have to make a strategic decision. Do we cover each position specifically or do we cover all outfielders together? Each time I seem to make a different decision based on the needs of the time. Usually I go with specific positions, but outfielders also tend to play multiple positions (or are eligible at multiple positions) and the breakdown of the power structure is very uneven across the board. So, we are treating outfielders together. We could look at five or six category leagues, but we have been using total points. Total points are used exclusively by the daily fantasy sports revolution, but a growing number of full season formats are also using total points. Every site has their own secret sauce they use in these formats, so we will utilize our own through the all-star break. Here is the formula we will use. 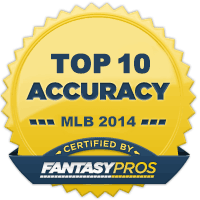 We will also include where Yahoo leagues ranked the player amongst outfielders prior to the season. Most people would assume Mike Trout is the best player in baseball and there certainly is a case to be made for that, but Betts is ahead on total points and he missed a couple of weeks on the disabled list. He is averaging over three points a game, so he could have eclipsed 400 points if he were healthy the whole time. He is arguably the American League MVP through the all-star break. 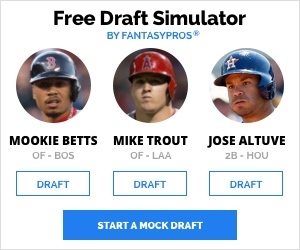 Trout was the first overall pick in almost every league. He hasn’t disappointed. Total points is the perfect marriage between counting numbers and a more sabermetric approach. Unfortunately, it’s hard to completely separate out the counting numbers. The Angels are a mediocre team whereas the Red Sox are the best team in baseball. So, Trout is at a bit of advantage in that regard. 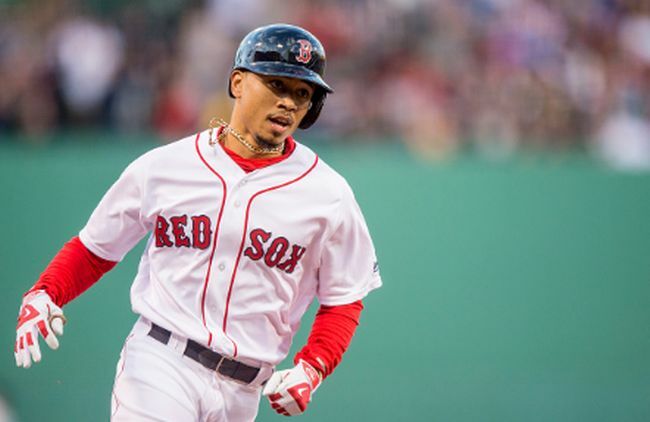 There are technically three outfielders from the Red Sox in the top four, but Martinez is really a designated hitter that occasionally plays in the outfielder. Based on his performance last season, these results should not be surprising, but some people still are surprised. When you put this many productive players together you get the best offense in the American League and more runs and RBI for everyone. Again, a large part of this ranking can be placed at the hands of his team. There are so so many productive players here that it is impossible for everyone not to benefit some. Still, Benintendi is a really good player that is flying under the radar some. Yahoo players made him a borderline first outfielder in drafts, but he is clearly performing above that level. 110th seems ridiculously low for a player that has produced like Markakis. Heck, there are 90 regular outfielders at any one time and maybe ten DHs that are eligible in the outfield. Markakis regularly plays every day, so even if he produced like seasons past he would be a top 60 or 70 outfielder. He has produced more power this year and has hit for the best average in his career. 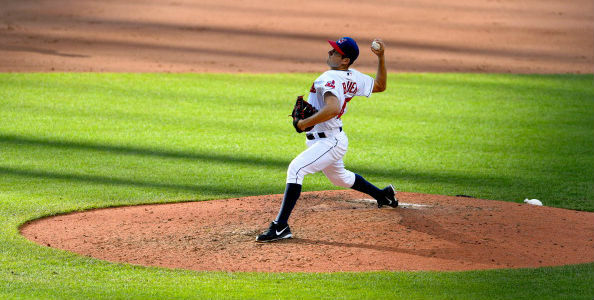 Rosario has taken a step forward this season even as his team has taken a step backwards. Unfortunately, that has a way of limiting his overall fantasy value. 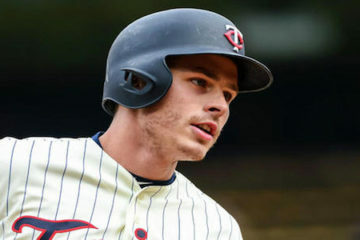 Since a large part of total points is based on runs and RBI, he is limited to how much his teammates will support him. Still, they have some sneaky talent around him like Eduardo Escobar and Brian Dozier. Both of them may be gone by the deadline, so it might get worse for Rosario before it gets better. Blackmon has been a mild disappointment this season like his teammate Nolan Arenado. Blackmon has to be put into a Coors Field decoder ring like all Rockies when comparing him to other outfielders. The Rockies bet on him long-term when they signed him to a contract extension before the season. We can get into the wisdom of such a contract, but then we would get crosseyed through the complex math. He scores lots of runs. He probably does it because of the environment, but they all count the same. Can you be disappointed when a player meets expectations? 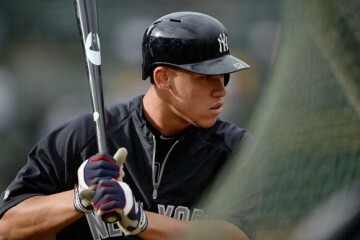 Judge is not putting up the numbers he put up last season, but no one really thought he would. He is still on pace to hit more than 40 home runs and draw more than 100 walks. It’s easy to look at what happened last year and be disappointed. In some ways, he’s grown as a hitter. He has better contact rates and is showing greater patience. Brantley has always been highly regarded and more highly regarded than his ranking before the season. Unfortunately, he has not been able to remain healthy for quite some time. This season he has kept himself off the disabled list so far and it is reflected in his ranking. The Indians offense was on the mat in April, but they are clearly clicking on all cylinders since then. I’ve always been a big Choo fan, but I am also big fans of players that draw walks. Choo is on the trade block, but he has a toxic contract. If the Rangers agree to take on a good portion of the remaining money they may find a taker for him. Put him on a contender and his value might jump a little. He is putting up sneaky numbers this season that few are noticing because the Rangers aren’t very good.